Omega Audio Video, LLC has completed an installation for The Woodruff Arts Center in Midtown Atlanta. Omega Audio Video, LLC has upgraded the sound system for the main public areas of the Arts Center. The system’s backbone is all new, high current Crown Amplifiers that drive 120 speakers in ten zones of the Arts Center. The control system is fully automated and bullet proof providing the Arts Center with a system that they can depend on and can be operated by any staff member. The system also includes the “intermission” chimes to alert the patrons that intermission for the symphony is about to end. The Woodruff Arts Center in Midtown Atlanta has chosen Omega Audio Video, LLC to upgrade their multi-purpose public space known as “Center Space” to the latest in audio and video automation. The room will be used for corporate speaking engagements, wedding receptions and art auctions, as well as many other uses. The system has to be easy enough for their guests to use and well hidden unless it is in use. There will be two projectors and screens in different locations in the room that retract into the ceiling. The A/V equipment will be built into the wall near the kitchen. Stay tuned to see what else we do with this space! 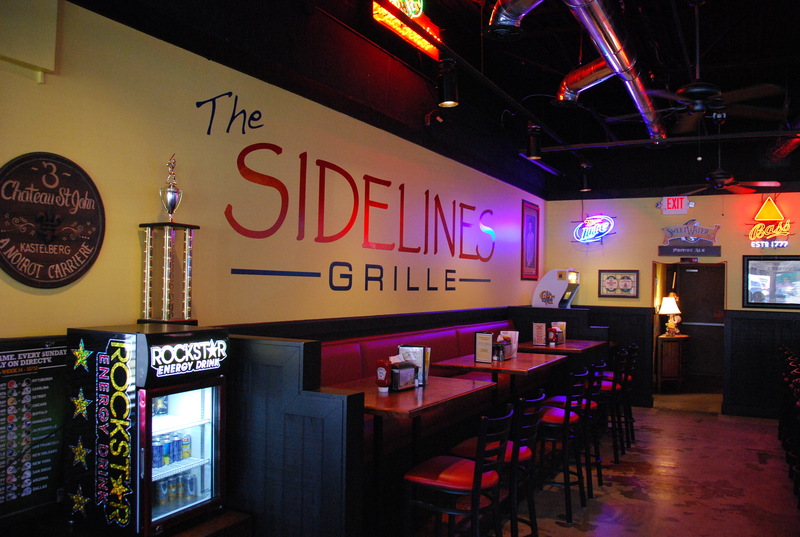 Omega Audio Video, LLC has completed another installation at Sideline’s Bar and Grille. Sideline’s added a large covered outdoor eating area for their patrons. Omega Audio Video, LLC added six additional 42” Panasonic HDTV’s outside along with another zone of audio with SoundTube speakers. Along with the audio and video, at the clients’ request, we also added outdoor air conditioning from Rapid Cool. The system uses three large fans with an atomized water spray at high pressure using a process called “flash evaporation” to substantially cool the air. Their patrons comfort is top priority at Sideline’s Bar and Grille.